May 23, 1980: The Shining was released. 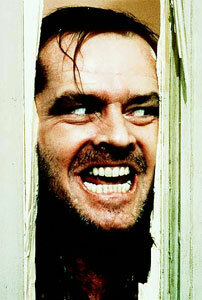 The “Heeere’s Johnny!” scene took three days to film and 60 doors. The reason it took 60 doors is that Jack Nicholson was a volunteer firefighter. He knew how to use an axe to demolish a door!